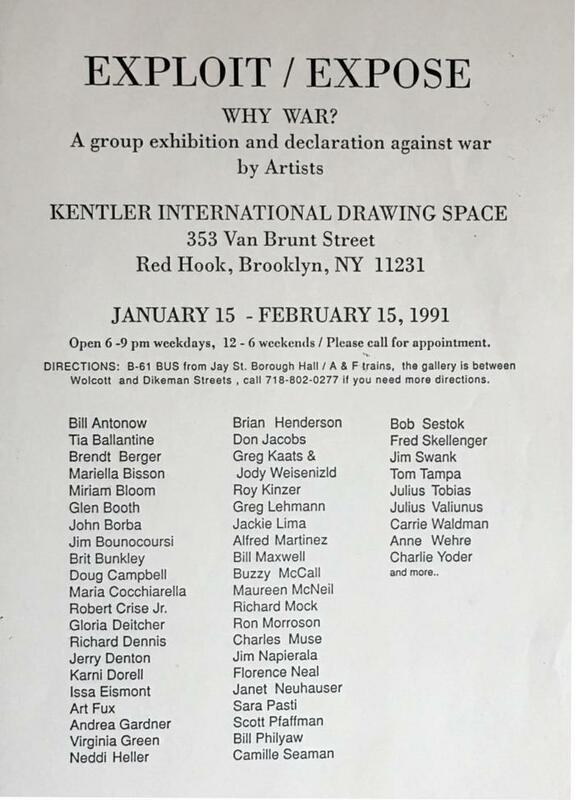 A group exhibition and declaration against war by artists . 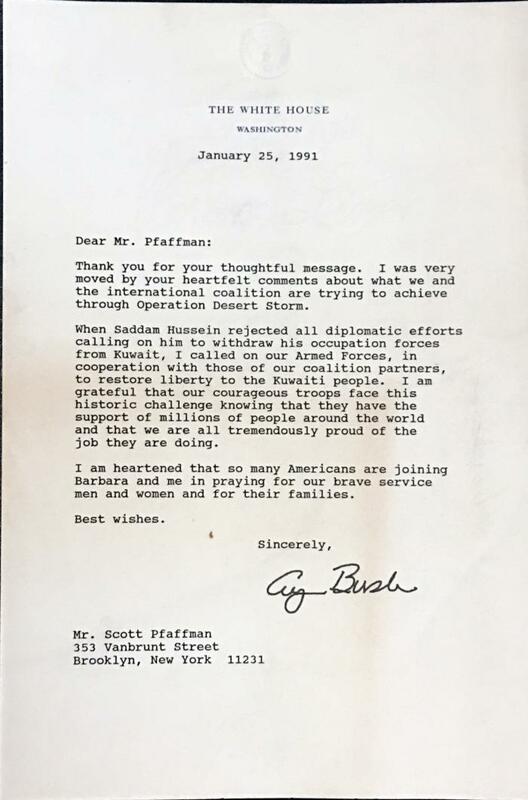 Response letter from the White House to our declaration against war. 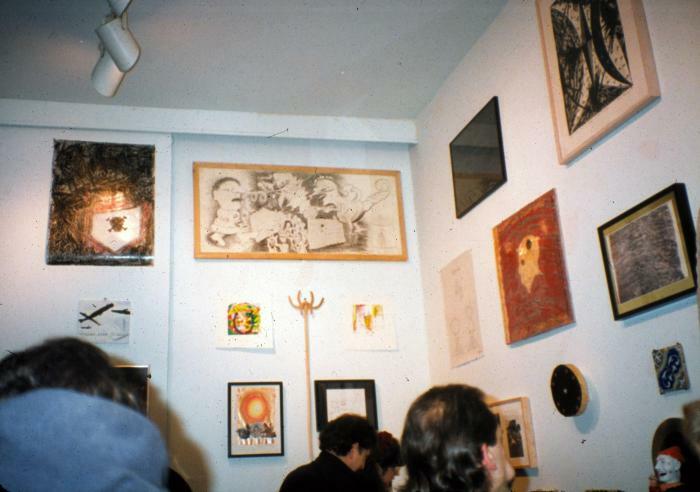 Group show responding to the onset of the Gulf War, with corresponding poetry and performances. January 15, 1991 was the deadline date set for Iraqi withdrawal.